4.8.2019 – MUSIC YOU CAN HEAR! 1.2.2018 — January Residency at Harvard & Stone is HERE! 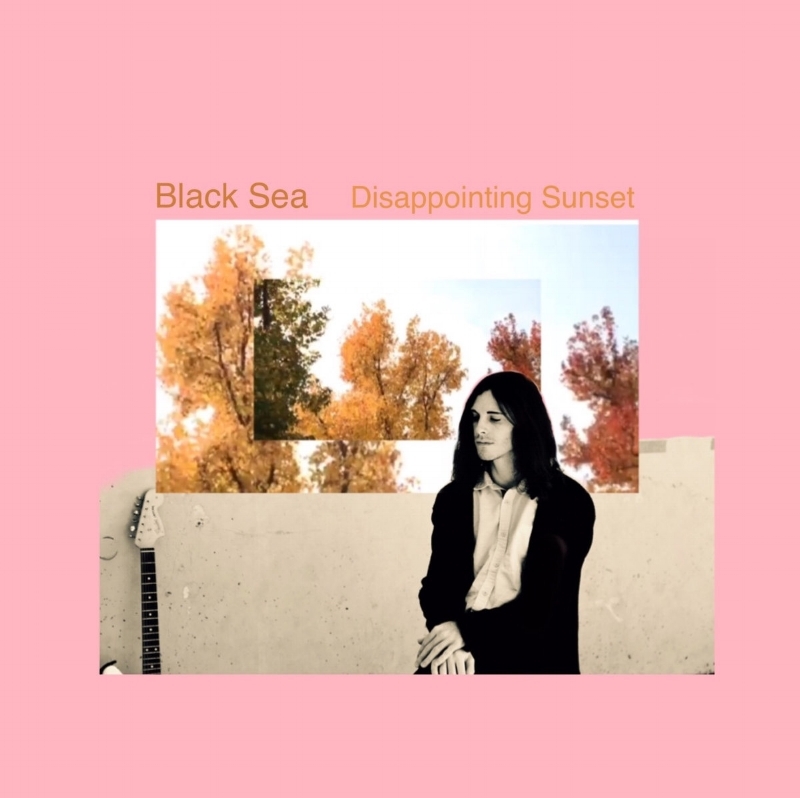 Interview with Jackson Wargo about Los Angeles and Snowball ii. Read the full article available HERE. It'll take more than some jackass smashing our van open and stealing our gear to keep us out of San Francisco. Come ring in the first Wednesday of 2018 with us at Bottom of the Hill. 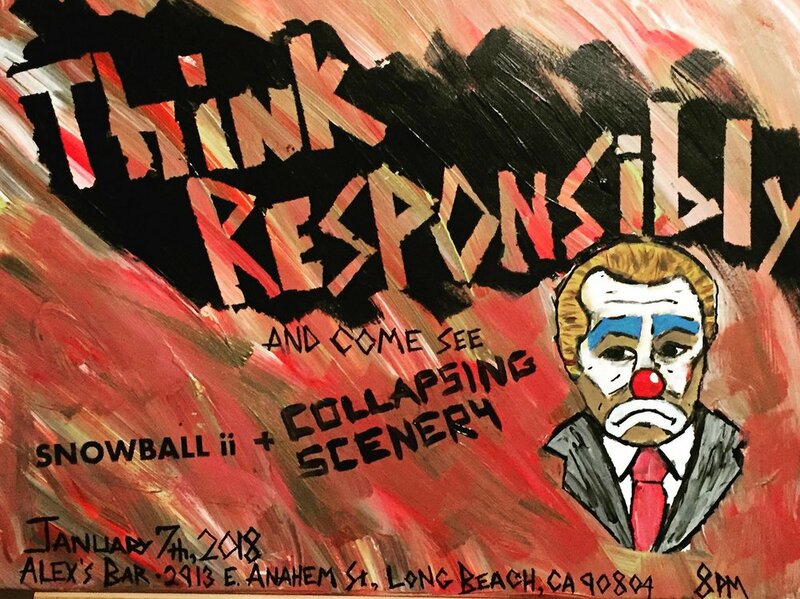 We're stoked to play Long Beach's finest rock venue with our friends Collapsing Scenery. There'll be more awesome bands on this bill TBA. See ya there. For mixing & mastering inquiries, complaints, or chitchat, please contact me at jackson@snowballii.com. We're finally playing in San Francisco with our bud's in GOON—this will be a great time. Presented by Noise Pop. The Blog That Celebrates Itself sponsored Spiritualized tribute album was made by 26 bands from around the world, and clocks in at 2 hours and 45 minutes. We covered 'Hey Jane' & 'Anything More.' There would be no Snowball ii if it weren't for Spiritualized, Spacemen 3, or J. Spaceman. This Friday is one of only two more residency dates we have left at Silverlake Lounge in LA. As always we hit the stage at midnight. Bring coffee & earplugs. Saturday we trek down to San Diego to play Soda Bar with our friends The Lulls & a cool band called Sweet Spirit. I bet we’ll be on first, so get there early. Tickets for both of these shows are on our tour page. 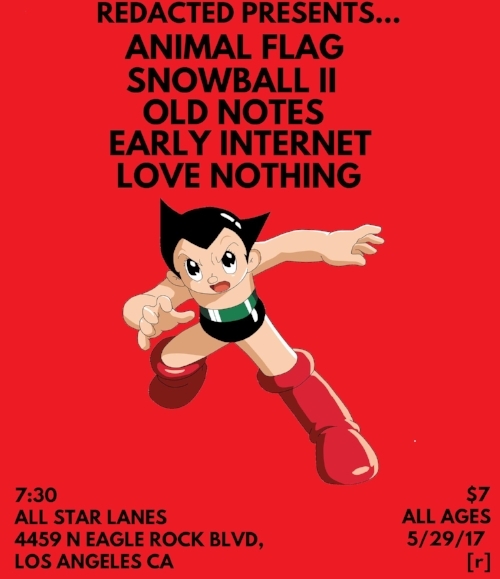 Not only are we hitting The Constellation Room in Santa Ana, CA with our New England buddies Animal Flag, but we’ve also added a show in Eagle Rock at All Star Lanes on 5/29 with both Animal Flag and Love Nothing, with whom we played The Smell last month. It’s been a few years since I’ve had the opportunity to share the stage with Animal Flag—in fact longer than Snowball ii has been around. I was in one of the first iterations of Animal Flag while I was living in Boston several years ago, but they’ve come a long way since. They don’t get out west very much—so if you’re around next week, you won’t want to miss either of these shows. July will bring us up to San Francisco to co-headline Café Du Nord with Goon! Very excited to break into the Bay Area scene with the Noise Pop Presents stamp of approval. 7/7/2017, don’t miss it! 5.14.2017 – Snowball ii on BBC Radio! Katie Puckrik blasted our tune ‘Anais & Me’ across international airwaves on BBC radio today. Now will somebody tell NPR to do the same? If you haven’t already heard, Snowball ii will be pushing sound waves every Friday night in May. Our set is at midnight. We’ll be trying out new material at these shows, so come by if you want to hear some stuff we usually don’t get the opportunity to try. Tune in! I think they back-catalogue shows too, so you should be able to check out the performance later on if you missed it. TONIGHT. The Continental Room. Fullerton, CA. Snowball ii at 11pm. This bar is right next to Bootleggers Brewery, which is one of my favorite places on planet earth. Come join us there before the show. Spacemen 3 themed shirts! I made ‘em myself at home. 3.30.2017 – Flashes of Quincy named Best of Winter 2017 by BandCamp Daily! This is a major honor.